In the previous post on the Omega Constellation Manhattan I paid homage to the creator of this great symbol of nineteen-eighties design, Carol Didisheim. In this essay I explore the design code and the horology of the Manhattan and identify an early mechanically powered version that is both uncommon and worth collecting. Click on the picture above for a high resolution version of the ad. Hi Desmond, first may I thank you for your invaluable blog which I have referred to many times. I've just purchased a Constellation auto chronometer - the one with the display back, serial number 47xxxxxx which dates to approx mid-eighties. It's the second generation manhattan. I am puzzled becasue it appears to contain a calibre 1109? Was this ever used in this watch/case? Your help would be appreciated. Yes both cal 1109 (later) and 1111 appeared in second gens. More common to see a 1109. My apologies Desmond - my typing was faster that my brain - I meant to type a cal 1110 with serial no.47xxxxxx. It's not mentioned in the Omega database but then I know that is not a comprehensive guide? Is it possibe a few of movements made it into this watch around 1984/5/6? The seller I bought from says he purchased it second hand in the US. A genuine watch or a case of the movement being replaced? Again sorry for the error - I have read your articles on the Manhattan! 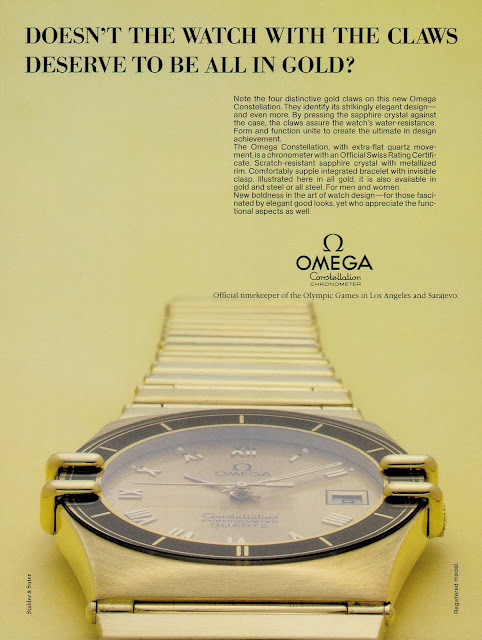 1110 is not a chronometer grade movement and is usually found in other Omega models, like Seamaster, of the time. Usually the calibre number is engraved on the rotor and if so you may have had a rotor swap on the watch. This is not uncommon as wear or dropping the watch can damage the rotor post. 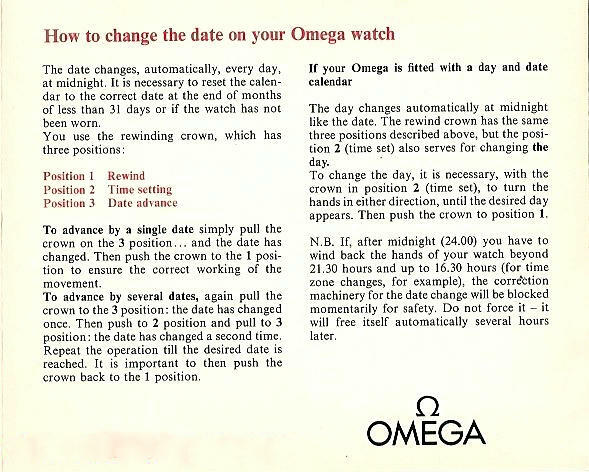 The only way to really establish if it is a simple rotor swap is to request an extract from Omega archives. Hello. I wonder if you could help. I have just come into what I think is a 1984 / 1985 omega constellation manhatten with the Bahrain crest on it. Trying to find out a biy more about it? its metal and 18ct gold i believe.